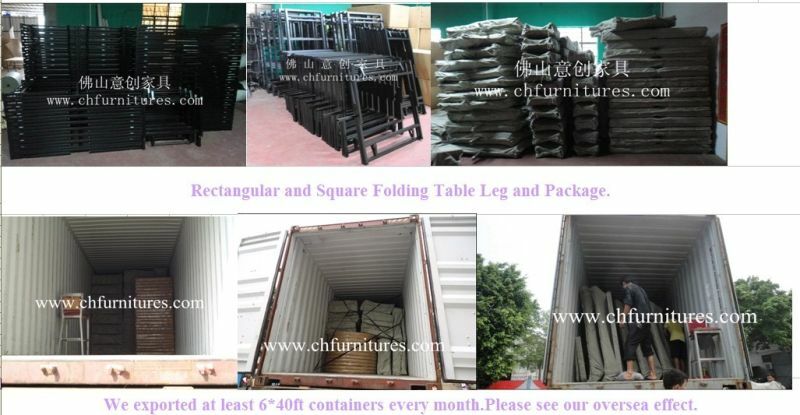 Table Leg Color: Black, Other Colors Is Available. 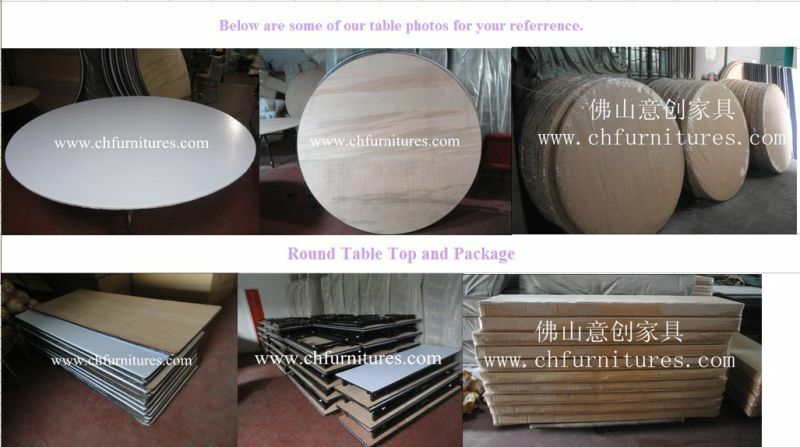 We are manufacturer in Foshan who is specialzied in producing Round Table, Restaurant Table, Square Table, Dining Table, Wedding Table, Hotel Table, Folding Table, Banquet Table, Party Table, Bar Table, Cocktail Table, Chair and Table, Hotel Banquet Table.The top material can be fire-proof and water-proof. It is your good choice. 3. Guarantee period 3 years. 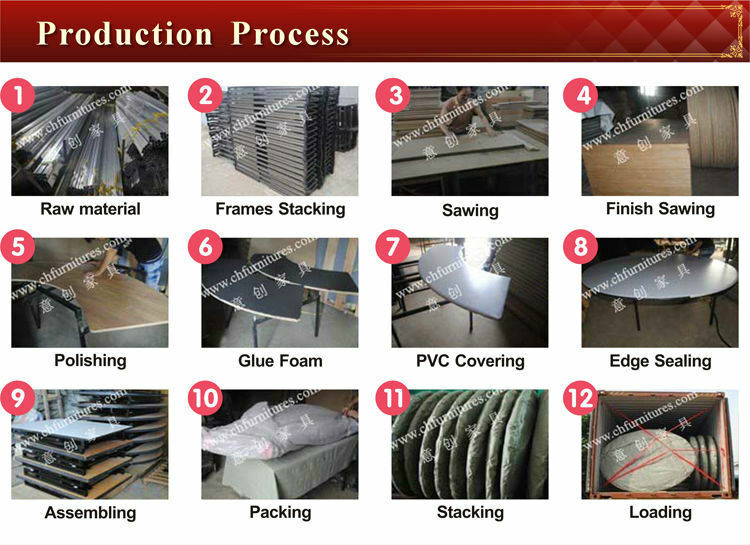 Our factory lies in Foshan city, which is the biggest furniture manufacturing city in China. We have manufacturing experience for several years. 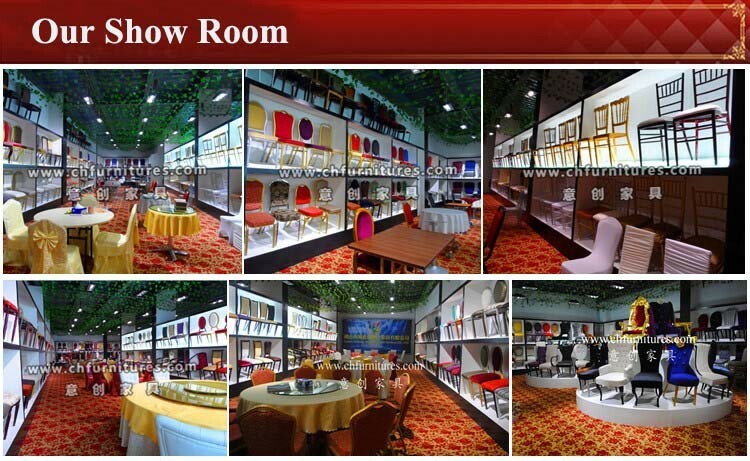 We are specialized in producing hotel furniture, such as banquet chair, banquet table, church chair, Imitation wood chair, chiavari chair, armrest chair, rock back chair, back cover chair, bar stool, baby chair, mobile stage, stage ladder, dance floor, mobile screen, trolley, etc. Our main markets are Europe, United States, Australia and Canada, etc. Welcome to visit our factory. Below is an excel to inform you all the detail information about our Folding tables. 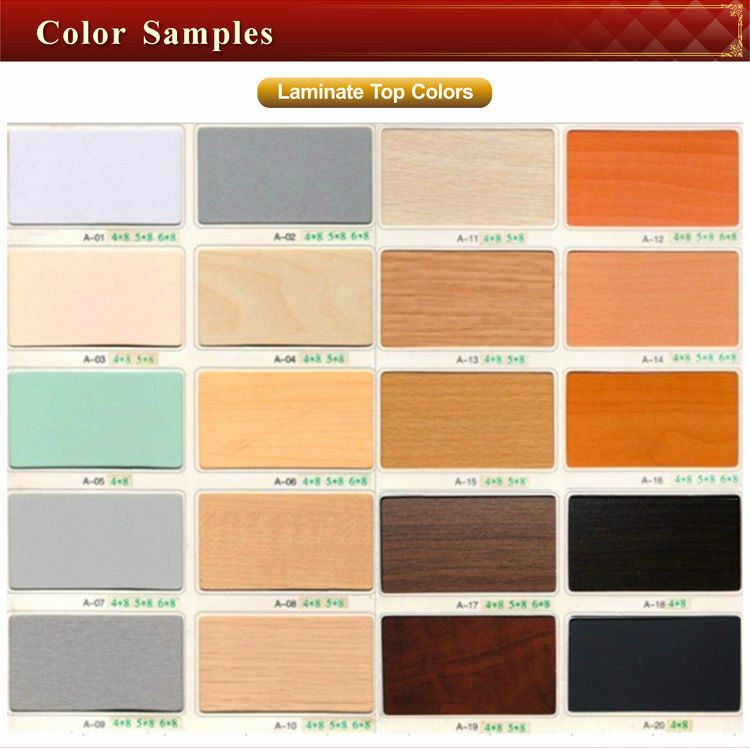 Table Top Material 18mm thickÂ Plywood+White PVC+Black Rubber/Aluminum edge; Laminate/Melamine; Fireproof table top is available. Table Leg Color Black, other colors is available. Table Size There are three Popular Size: 1200 Dia*760Hmm; 1520 Dia*760Hmm; 1830 Dia*760Hmm. Table leg is packed by green non-wowen bags.